Despite the rise of online casinos, the land-based establishments are still holding on their own. The opportunity to interact with people and play with real chips, cards, and tables remains appealing. However, going to a real casino is time-consuming and generally inconvenient. This is how the live dealer online casinos were born. They use high-tech cameras to stream real croupiers and will carry you in a real casino room from anywhere. The whole process behind the live dealer casinos online is not that complicated. The operators will provide the customers with a live video stream in HD from a physical casino table with a real person as a dealer. They are usually located in brick-and-mortar casinos or in special studios built for the sole purpose of providing a complete gambling experience. The game is played in real time, as the customers can pick actions with the buttons displayed on their interface. This information is received by the croupier who watches a special monitor. He then does his job as he would in any brick-and-mortar casino and accept the bets, deals the cards/spins he wheel. You can also chat with the dealer and in some casinos, with other players at the table. When the hand is done, the croupier announces the results that are automatically handles by the casino and the next round starts. General criteria: of course, you should always look for the best rated online casinos that have all the necessary licenses. The variety of payment options and the level of the customer support service are other important aspects to consider. Higher limits: if you’re a high roller and want to bet big, the tables with live dealers are a good place for you. The betting limits there are usually higher than the majority of the electronic games and can reach a couple of thousand per spin/hand. Limited amount of games: the live dealer tables cost a lot more than an electronic game. As a result, the casinos can’t afford to have as many as of them as they wish. They have to stick to games that attract enough customers to make money. Other types of roulette: the game developers constantly try to add innovation and launch modern variations of roulette. You can find live dealer tables with multi-ball roulette, no zero roulette, and other interesting options. Another obvious choice, blackjack remains the ultimate casino game. It is simple and yet, requires a strategy to get the best results. If you’re good at the game, the house edge is extremely low which makes blackjack so appealing. The demand is there, so you will find the game at pretty much any online casino with live dealers on the market. The French card game baccarat is considered to be a favorite of high rollers across land-based casinos all over the globe. It has a lot of admirers online as well and that’s why baccarat is part of the selection of most live dealer online casinos. If you prefer poker casino games, you can enjoy some of them at most online rooms. The likes of Casino Hold’em, Three Card Poker, Ultimate Texas Hold’em, and Caribbean Stud are often available in European rooms. Asian casinos offer the likes of Sic Bo and other traditional local games. The segment of live dealer casino games is constantly growing and lots of developers are releasing new products. Evolution Gaming is probably the most popular among them and the studio’s main focus are tables with real croupiers. Industry giants like Microgaming, Playtech, Novomatic, Portomaso Gaming and NetEnt have their own games with live dealers. The competition is huge and it works for the best of the customers in a number of ways. For example, the developers are trying new formats all the time. Another advantage is that more and more games are compatible with mobile devices. You can actually access tables with live dealers on your phone or tablet, the only requirement is to have a solid internet connection. It seems that live casinos online are here to stay. Many players prefer them over electronic games and the industry is thriving. As a result, both the operators and the studios that create such games are investing a lot. With new technologies such as Virtual Reality on the rise, the experience will only get better. Do I need a separate account to play at the tables with real croupiers? No, you don’t. You can use the same account you created when joining the casino in the first place. The casinos use the latest high-tech security measures to protect the customers from any malicious acts by third parties. On top of that, the operators need a proper license to offer those games. This means they are regulated by respected gambling commissions which monitor their activities. Do I need special hardware to play at online casinos with live dealers? No, most of the modern computers, phones and tablets are compatible with such operators. What you need, though, is a solid connection to the internet. Can I try the live tables for free? Most of the casinos do not provide free play for the games with live dealers because it’s too costly. There are exceptions, though. Are the games at live dealer casinos online fair? If the casino has a license from a gambling commission such as those in the UK, Gibraltar, and Malta, for example, you can be sure that the games are fair. Also, all the actions are completed in front of you, like in a real casino. How can I deposit and withdraw money from live casinos? The operators offer the same methods as on their main platform. This usually includes credit and debit cards, e-wallets, wire transfers, prepaid cards, and more. Do I need to install additional software to play on tables with real dealers? There is no straight answer to this question. Some casinos will require you to download and install a client, while others run instantly by opening their websites. Most are trying to do the latter. As you can see, live dealer casinos online are the real deal. They manage to get the best out of both worlds. 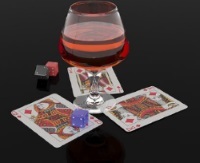 You can enjoy the smooth and convenient gameplay of an online casino from the comfort of your own home. At the same time, you get a social experience and an atmosphere close to brick-and-mortar establishments. With the rapid rise of technology and the huge investments by operators and developers alike, it’s only going to get better. If you add the special promotions for tables with real people, it’s easy to see why so many players choose live casinos online.